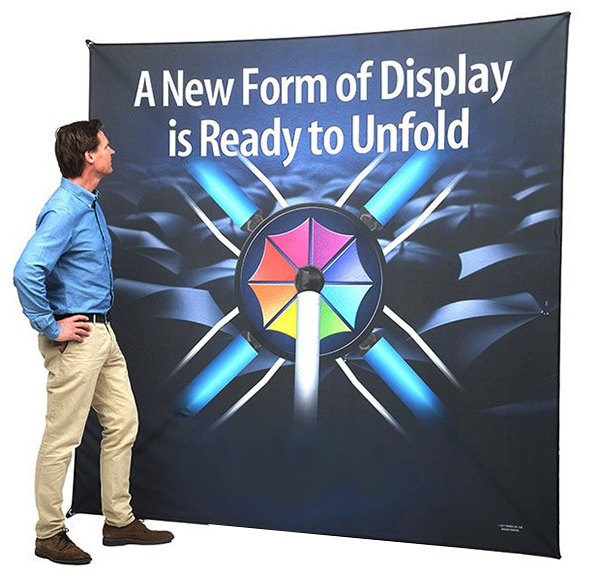 Our innovative ShowFlex is the newest advancement in floor or table displays. 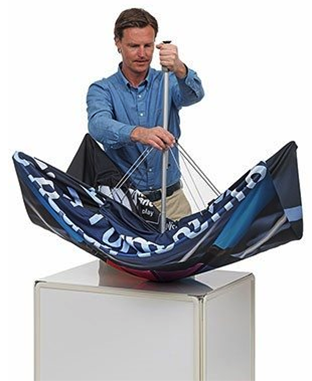 An umbrella style mechanism makes set up a breeze! Watch the video below to be amazed! What makes this stand different? We can show you! 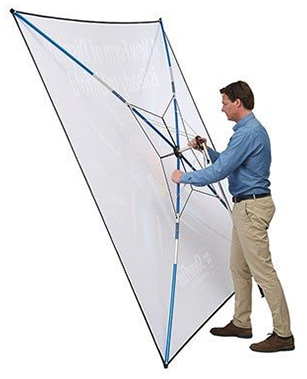 This display sets up in moments and is as easy as opening an umbrella. It folds very compact for easy and effortless travel. SCROLL DOWN to see a video on the entire ShowFlex product line. Both the floor and table top displays set up in moments. Click to watch a video and see how easy it is! We have lots of different sizes, from table top to floor model, for every need. It is very important that you design your file to our template. Here are the templates for each size we offer. This item ships from our South Carolina print center. Please allow 5-7 days for printing, then shipping time to your location. A shipping charge is added to ALL orders.